A letter from our May edition. One class of those experiencing a ‘felt presence’ is missing from Alderson-Day’s otherwise excellent review (‘The silent companions’, April 2016) – the category of those intentionally cultivating such experiences. Arzy and Idel (2015) have drawn attention to a subset of Jewish mystics who pursued practices clearly designed to induce alterations in the sense of self, culminating in some cases with mystics experiencing autoscopy, whereby they converse with their double standing in front of them. 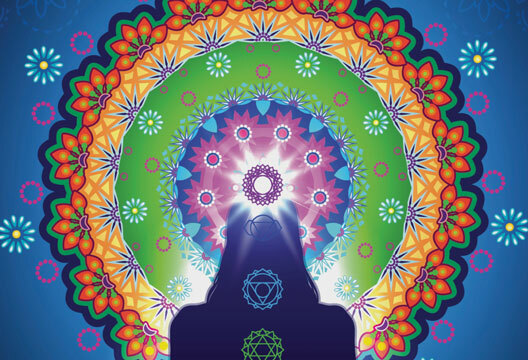 These, or similar, practices are not confined to Jewish mysticism, being found throughout diverse traditions, and are probably also related to more recreational use of some psychedelics. Whilst the neurocognitive aspects of such states may, as Arzy and Idel propose, be common across all cases – mystical and pathological – the importance of including this category of those intentionally seeking alterations in their experience lies in what they contribute to our understanding of the self. Far from being a pathological disruption of those processes that bring about the everyday sense of self, these mystical felt presences might be a means for enriching our grasp of the role self plays in our lives. The most gripping of all felt presences is indeed that of the everyday sense of self. Yet why any sense of presence should exist remains a mystery – it is the core of the ‘hard problem’ of consciousness, as articulated by Chalmers (1995). Silberstein and Chemero (2015) have argued for a neutral monist understanding of consciousness, i.e. that both mind and matter derive from a more basic foundation that is neither one nor the other (hence ‘neutral’). Many have made such claims; of interest in our context is the suggestion by Silberstein and Chemero that the neutral quality is best captured by the term ‘presence’. As Seager puts it, ‘The neutral monist claim that it [presence] forms the bedrock of reality is surprisingly powerful and fertile, and may yet help us understand reality and our place within it’ (cited in Silberstein and Chemero, 2013, p.192). I would argue that this is the critical point about mystics and shamans exploring alterations in the felt presence of self: they delve more deeply into that ‘bedrock of reality’ than do those not so motivated, bringing knowledge that enriched the cultures to which they belonged. And, to quote Silberstein and Chemero, ‘Given that presence is fundamental, it cannot be defined in terms of other concepts, of either a material or mental nature’ (p.193). Arzy, S. & Idel, M. (2015). Kabbalah: A neurocognitive approach to mystical experiences. London: Yale University Press. Chalmers, D. (1995). Facing up to the problem of consciousness. Journal of Consciousness Studies, 2(3), 200–219. Silberstein, M. & Chemero, A. (2015). Extending neutral monism to the hard problem. Journal of Consciousness Studies, 22(3–4), 181–194.